Measles is one of the world's most infectious illnesses but until recently cases had been declining. So what's led to recent outbreaks? It's far from an isolated case, with the US already on course this year to see the most measles cases since 2000, when the disease was officially eliminated. When a measles vaccine became widely used in the 1980s, cases fell significantly, eventually leading some countries to declare it had been eliminated. A vaccination target of 95% creates "herd immunity" in a community, to prevent this highly infectious disease from spreading. Despite overwhelming scientific evidence supporting vaccination, "anti-vaxxers" can believe vaccines are unnecessary or harmful. They sometimes embrace conspiracy theories around "big pharma" and are distrustful of government. We may also see future outbreaks of rubella - German measles - in this age group, a particular concern as they reach childbearing age. In New York's Rockland County, unvaccinated children have been banned from public places for 30 days. But it is difficult to see how this could be effectively enforced and there is little evidence that mandatory vaccination is always the best approach. 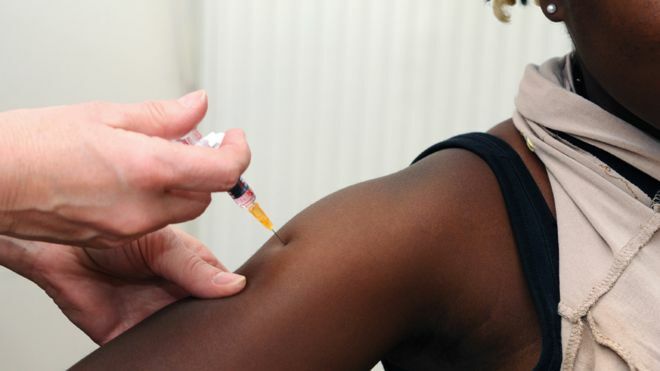 For example, an innovative response to a measles outbreak in the London borough of Hackney was the "spotty bus" - a mobile immunisation unit that toured the neighbourhood, parking in school playgrounds and supermarket car parks, vaccinating almost 1,000 children whose parents simply needed easier access to immunisation services. Helen Bedford is a professor of children's health at University College London.